I made a big move this month – literally! For the last two years I’ve been building my practice in Logan in a *ahem* cosy room with a variety of other individuals. I enjoyed working with the other people there and I liked the routine I had, however we were all in the same boat. We weren’t getting very far, but we were comfortable in our ruts and routines – they were familiar and felt safe. And there was no growth. There comes a point for every person when they need to evaluate their current situation and think about whether it is the best place for them. This can be in relation to their physical location, their career path, their relationships or even their own personality. Making that kind of evaluation, however, takes a certain brutal honesty. You really need to look at the reality of your situation and think about whether this is the best you can be, or whether you are just cruising along comfortably without any real change. This point may come after a traumatic event or after a period of calm – there is no right or wrong time, however it is important that it comes. True growth can only happen with change, but as we all know – change is hard. Change is scary. Change is risky. Change is uncertain. Change is necessary. Look at how babies change with every passing week and grow into delightful little children, then challenging adolescents, then wonderful adults. Babies don’t worry about the changes in their lives – they simply accept them, learn as they go and grow into their next stage. 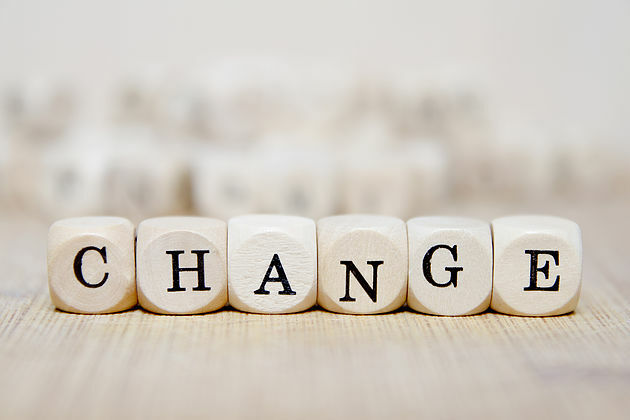 As we get older, we become more set in our ways and change becomes harder, but perhaps if we looked at change simply as a way to move onto the next stage it would be less stressful. There is still uncertainty and risk, but the stress that comes with it could be mitigated. Right up until I moved all my furniture into my room (and even bought two plush red armchairs! ), I was uncertain that I was doing the right thing. My room is huge, but I’m alone. Was I making a terrible mistake? Should I have just stayed where I was, comfortable in my tiny room with barely enough room for two adults? I am comforted by the thought that change leads to growth and growth leads to change – I am embracing the uncertainty and grabbing the opportunity to launch into my next stage with both hands…. …and a fast beating heart!